Hole In One Insurance, What is it? Many people ask us why hole in one insurance is so important. Everyone knows that getting a hole in one is one of the most sought after achievements in all of sports. In golf, a hole in one (otherwise known as an “Ace”) is when a player’s ball goes directly into the cup from the tee in one shot. When you decide to have US Hole In One cover the big prize at your next event we will provide every golfer with their choice of a free wedge and/or hybrid golf club. A recommended timeline for returning a complete hole in one insurance application. 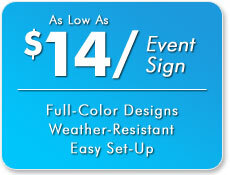 Ensure that you receive coverage and your hole in one contest signs in plenty of time. Can I Receive a Proof of My Hole In One Signs? As each hole in one prize package receives complimentary signage, we are often asked if proofs can be obtained before printing. Read on for the answer to this frequently asked question. Despite varying reports, the odds of hitting a hole in one are fairly good considering the feat at hand. Curious as to what your chances are? Take a look at this article for the answer. Can I Run a Hole In One Contest at a Driving Range? We are often asked if a driving range can host a hole in one contest. While it is permissable under certain circumstances, there are some important requirements to consider. Can I Run a Shootout on a Par 4 Hole? Sometimes it isn't easy to run and after round shootout on a par three hole. This articles gives tips around this including the permission to run such a hole in one contest on a par four hole. Ever wondered what exactly hole in one insurance is? This article answers that question and describes how the coverage works through real-life examples. Hole in one insurance is a type of prize indemnification, but what is that? We discuss the concept behind this specific type of coverage and explain how it is as simple as flipping a coin. Each time you purchase a hole in one prize package, you receive a free set of bonus prizes, but what are they? We'll explain in this informative article. Why Is Coverage For Multiple Holes In One Important? Not all hole in one prize packages are created equal. This week we discuss an important differentiation that you should look for when deciding on a provider. Can My Event Afford Hole In One Insurance? Hole in one contest coverage is not as expensive as you think. This discussion explains the finer points when it comes to pricing. What To Look For When Buying Hole In One Insurance? Keep this checklist handy when choosing a hole in one insurance provider. We delve into the different things to look for when purchasing, and explain why one size does not fit all. How Is Hole In One Insurance Pricing Determined? Three pieces of information determine how golf coverage is priced. This article educates you on those factors and provides tips for making coverage as affordable as possible for your tournament. Much of our literature refers to a prize coverage participation certificate that you receive after purchasing a package. Find out what this is and more in this informative explanation. Believe it or not‚ some prize coverage products are more secure than other. This discussion determines what ratings to look for when assessing this security level. Here at US Hole In One we want your golf tournament to be a success! We find that the best way to do that is to add some excitement to the tournament with one of our contest insurance packages, mainly a hole in one contest. You Got A Hole In One, Now What? Whether you hit a hole in one out on the course by yourself, in front of a few friends, or at one of our Million Dollar Shootouts, you have something to be proud of. According to the Associated Press and Yahoo News, Pierre Fournier and Ken Osborne hit back-to-back holes in one. What is a Putting Contest? As a golfer, it is always nice to outshine the other players. A putting contest is one of those types of hole in one insurance in which individuals will definitely take on others to prove their skill on the putting green. How Does Buying Hole In One Insurance Work? Hole in One Insurance is one of the best ways to give back to your group and not have to worry about paying a lot of money out of pocket. You may want to host a special event to draw in a crowd. You may want to run a charity event and offer a steep prize to anyone that hits an ace. In any of these instances, and many others, you can utilize Hole in One Insurance as a tool to achieving your goal. Top 10 Reasons Why Your Golf Club Should Have Hole In One Insurance! Hole in one insurance is something that a golf outing should always have. US Hole In One is here to make that happen. We offer both quality and affordable hole-in-one insurance that will satisfy all your needs. For hole in one contests, there are three different categories for the witnesses requirements. The number of witnesses and whether or not you need video are determined by the value of the prize for which you purchased hole in one insurance.